Novelty Energy Like Wind Turbines, NOT Fit for “Prime Time”! Disintegrating Wind Turbines & Mass ‘Planned’ Blackouts in Germany: What’s Not to Like About Wind Power? The Germans went into wind power harder and faster than anyone else – and the cost of doing so is catching up with a vengeance. The subsidies have been colossal, the impacts on the electricity market chaotic and – contrary to the environmental purpose of the policy – CO2 emissions are rising fast: if “saving” the planet is – as we are repeatedly told – all about reducing man-made emissions of an odourless, colourless, naturally occurring trace gas, essential for all life on earth – then German energy/environmental policy has manifestly failed (see our post here). Some 800,000 German homes have been disconnected from the grid – victims of what is euphemistically called “fuel poverty”. In response, Germans picked up their axes and headed into their forests in order to improve their sense of energy security – although foresters apparently take the view that this self-help measure is nothing more than blatant timber theft (see our post here). And the economics are so bizarre, that you’d think its “Energiewende” policy had been put together by the GDR’s ‘brains trust’, before the Berlin Wall took its tumble in 1989. Squandering €18 billion on power – which Germans have in abundance from meaningful sources – has them asking the fair and reasonable question: just how much power are they getting for the €billions that they’ve thrown – and continue to throw at wind and solar? The answer at 3.3% is – NOT MUCH. But beyond the economy destroying costs of subsidising a meaningless power source, with NO commercial value – apart from the subsidies it attracts – there’s also the (not insignificant) issue of turbines flinging their 10 tonne blades to the four winds and/or yielding to gravity and allowing their entire 290 tonne bulk to crash back to Earth. The increasing number of self-destructing turbines and ‘component liberation’ events might almost be forgiven if the power produced were even a tad reliable. But, that source of potential mitigation has dried up in Germany, too. Due the intermittent and chaotic delivery of wind power, the Germans are now coming to terms with deliberate ‘targeted blackouts’ – where grid mangers are chopping power to major consumers and even whole cities in response to wild and unpredictable wind power collapses (just like Adelaide, in South Australia). Thanks in large part to wind and solar energy, not only have German electricity prices paid by consumers skyrocketed over the past years, thus casting a large number of homes into home fuel poverty, but also the supply itself is rapidly becoming precarious and unreliable. One problem is the stabilization of the power grid in the face of wildly fluctuating wind and solar energy feed-in. 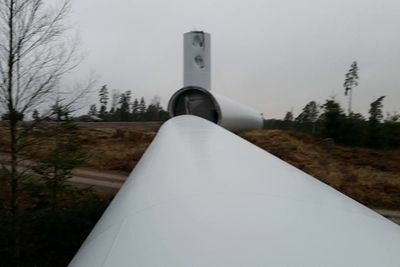 The other problem is the mechanical integrity associated the wind turbines themselves. Increasingly it is becoming apparent that wind turbines have a way of just collapsing – often without notice – due to mysterious causes. One might suspect mechanical fatigue due to the complex cyclic loading that wind turbines are subjected to. Consequently wind parks are becoming hazardous zones for persons and property in the vicinity – never mind the proven detrimental health effects of infrasound. One example (of many) of a recent catastrophic turbine failure is reported by the North German Ostesee Zeitung here. 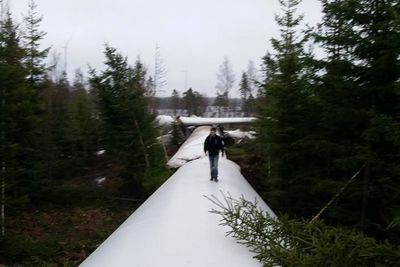 According to the article, just 2 days ago, the blade of a wind turbine snapped off unexpectedly, boring itself into the ground. Luckily no one was injured, or killed. Another recent catastrophic failure occurred in Sweden, so reports the Swedish online svt.se news site here. Forestry machinery operator Erik Karlsson of the Vetlanda municipality heard an “incredible bang” while working on Christmas Eve, but thought nothing of it. Later as went home he discovered that a nearby wind turbine had fallen to the ground across the road. 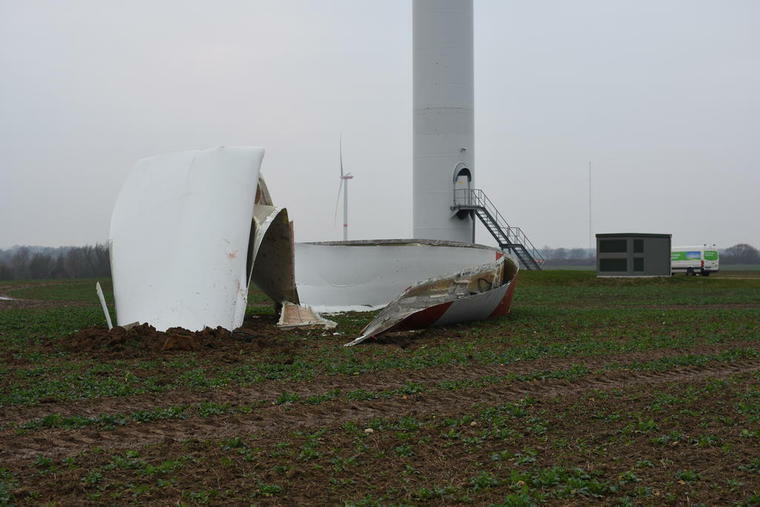 These are just two recent examples of many of wind turbine collapses. In addition to catastrophic mechanical failures, wind and solar energy are wreaking havoc on power grid stability, so writes the German onlinemittelhessen.de here. The online newssite reports that the future for the residents of Wetzlar may be looking bleak. Why? In plain English: one small problem could lead to a widespread blackout. 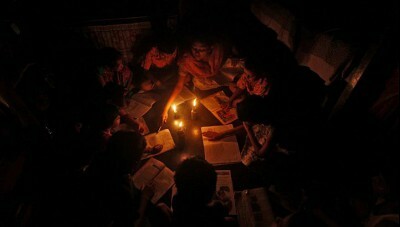 To keep this from happening, the solution is now to conduct targeted blackouts in an attempt to keep the grid balanced. If you are running a company, or merely working on an important document at your PC, then it’ll just be tough luck. Just use paper and pen, and light up a candle. Junk energy at a high price. Other countries may wish to think twice before copying the model.